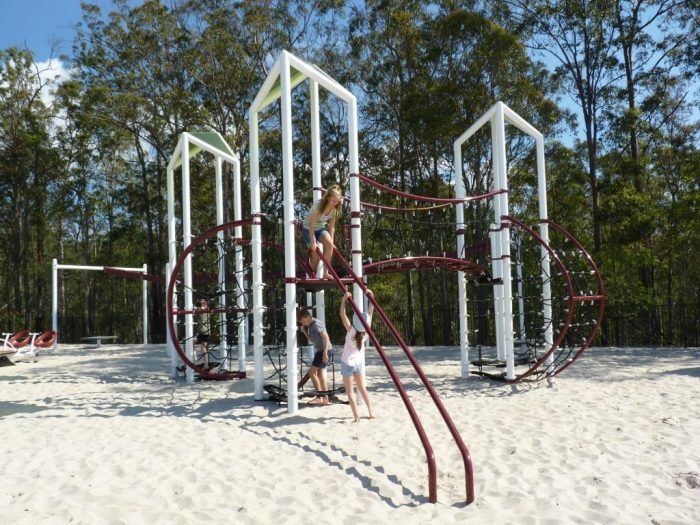 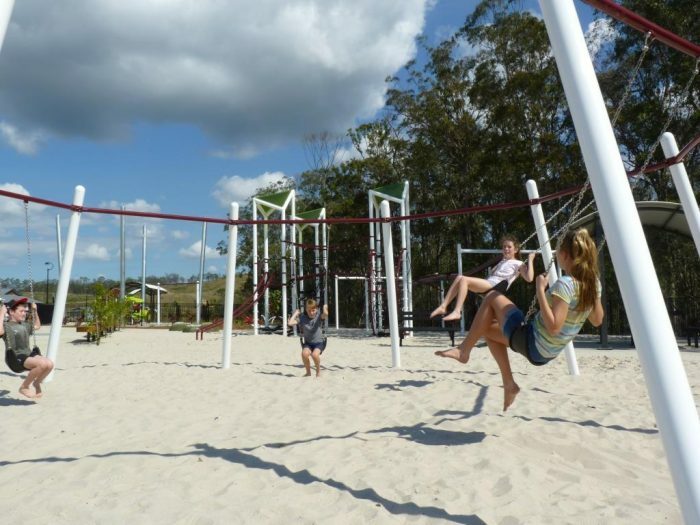 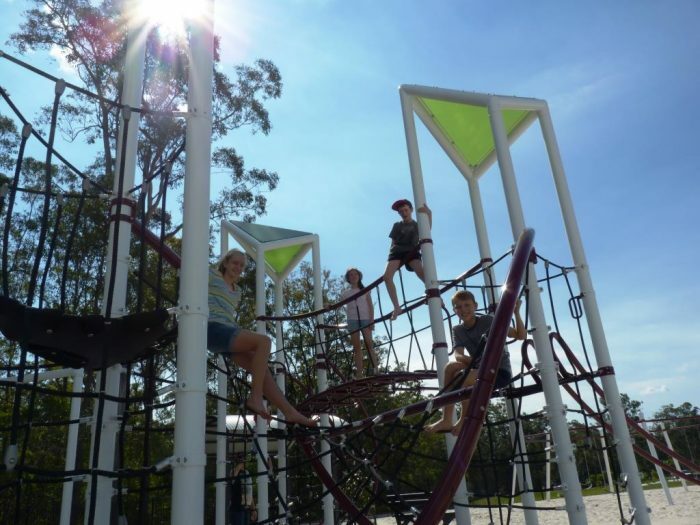 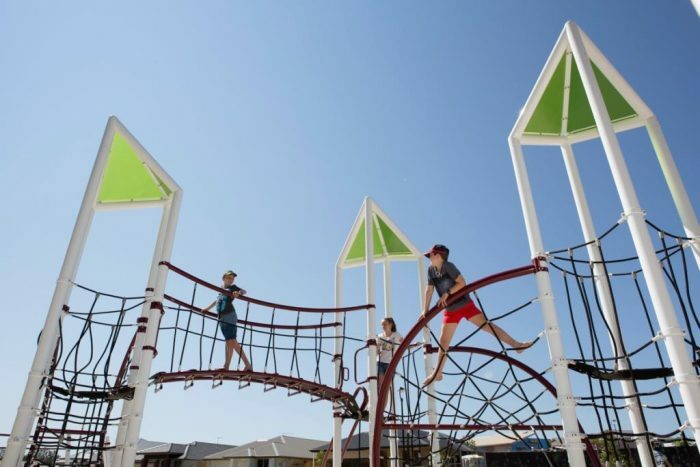 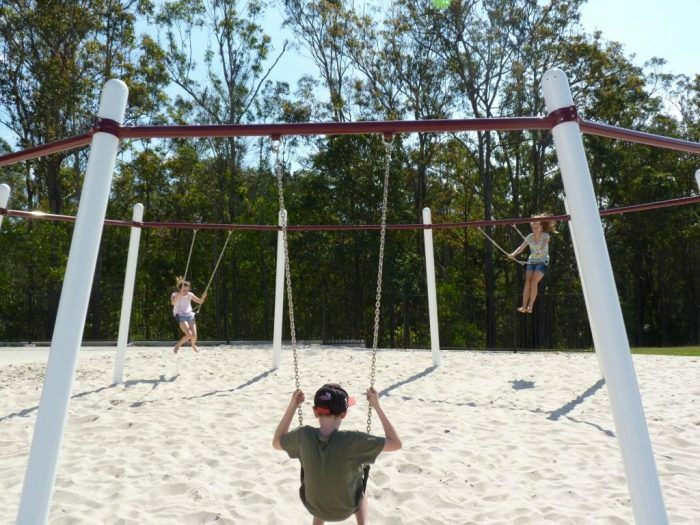 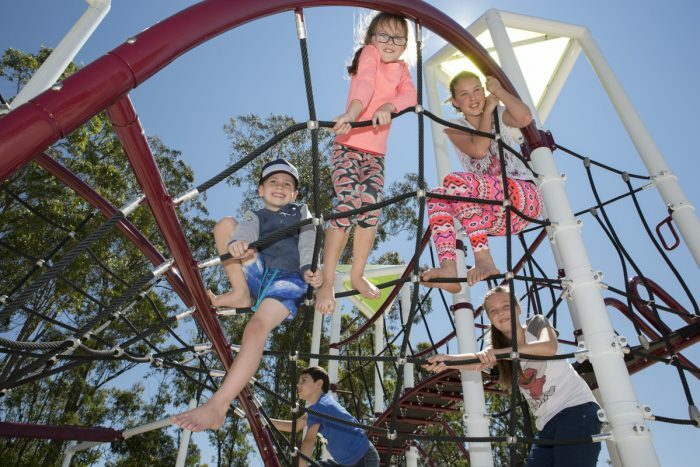 The new residents at Oxmar Properties’ Narangba Heights estate have one of the coolest playgrounds in Australia! 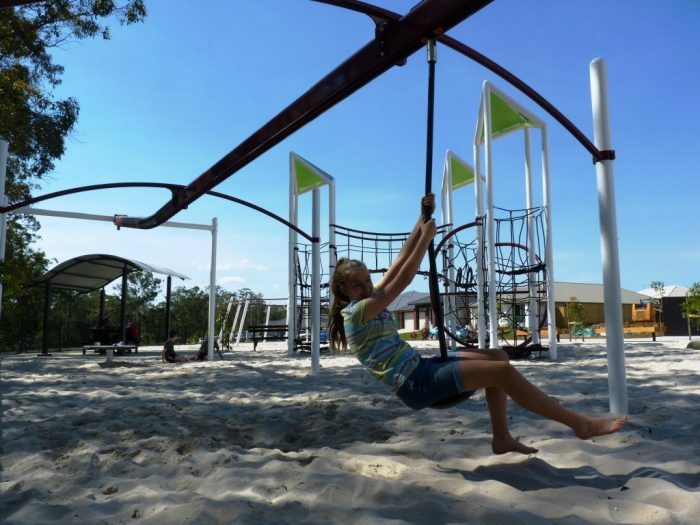 With something for all ages, two play systems and a range of exciting independents make this the destination park of the development. 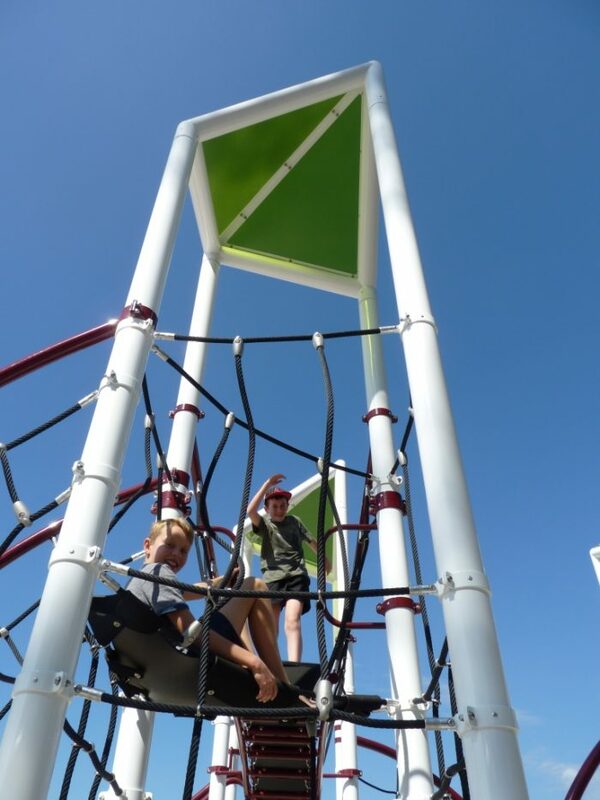 The aesthetically striking Geonetrix brings climbing challenge for the older years, alongside a 5 way swing that encourages children of all ages and abilities to swing together. 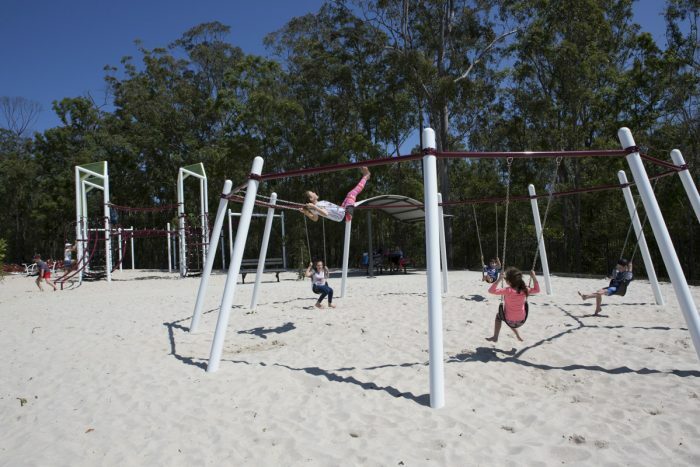 A ZipKrooz zipline runs along the back gumtree lined perimeter where “this is awesome” can be heard repeatedly! 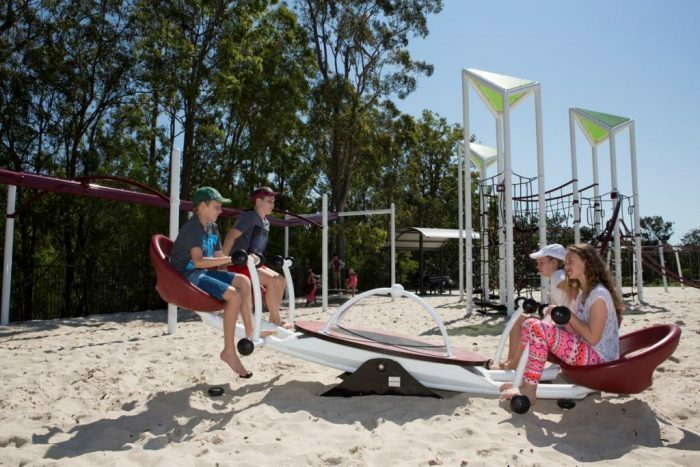 Again focusing on inclusive all ability fun, the WeSaw adds value to the traditional see-saw where children can stand or sit in the centre while friends old and new sit in the 4 supportive seats. 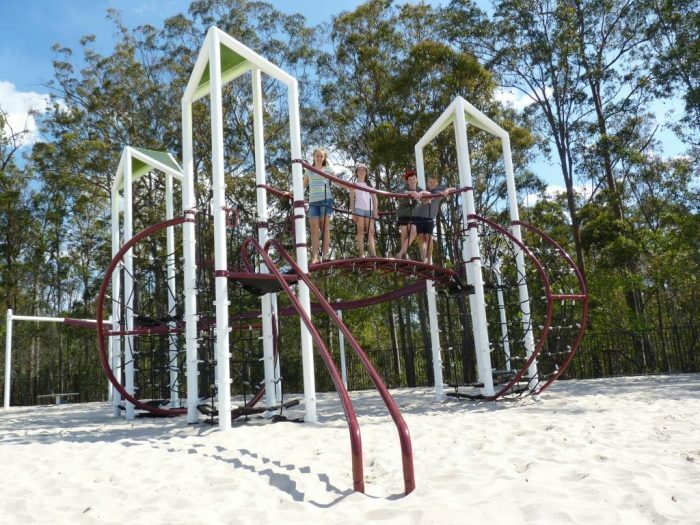 The WeSaw has been specially designed for users with limited upper body strength and has been set at wheelchair transfer height so that everyone can join in the fun! 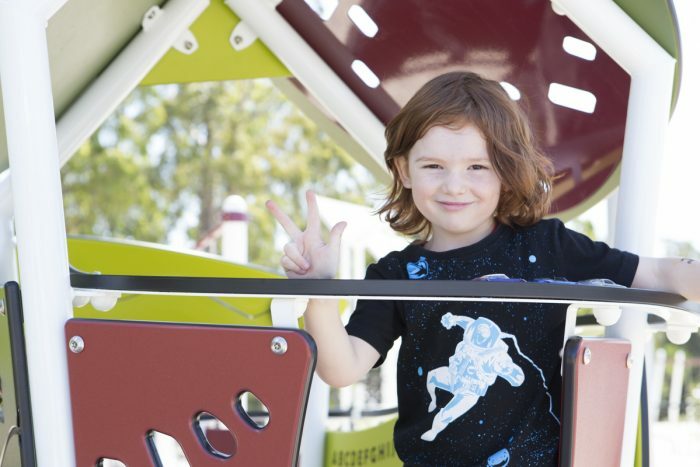 Separated from the main active zone of the playspace is a toddler zone again filled with fun. 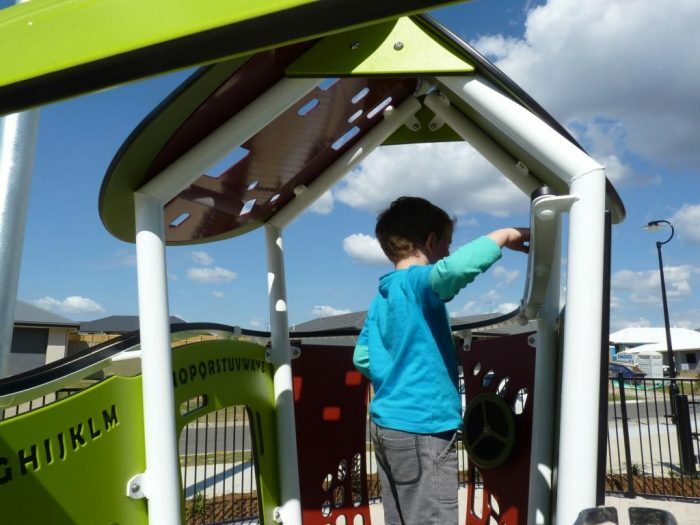 The SmartPlay Motion is scaled just right for developing toddlers and packs a whole load of fun into its compact size. 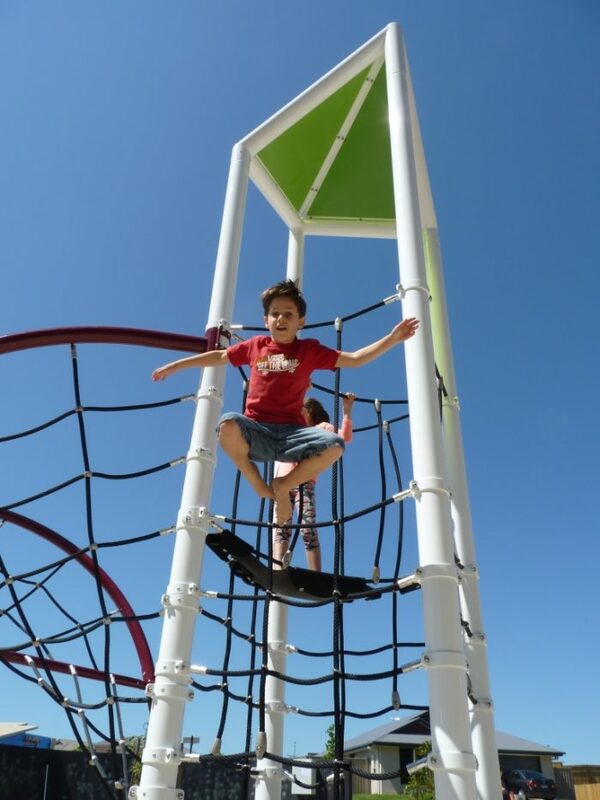 16 stimulating play components offer developmentally challenging activity with added surprises like a race car track, marble panel, shape and fit panels and a sand play station with sifters. 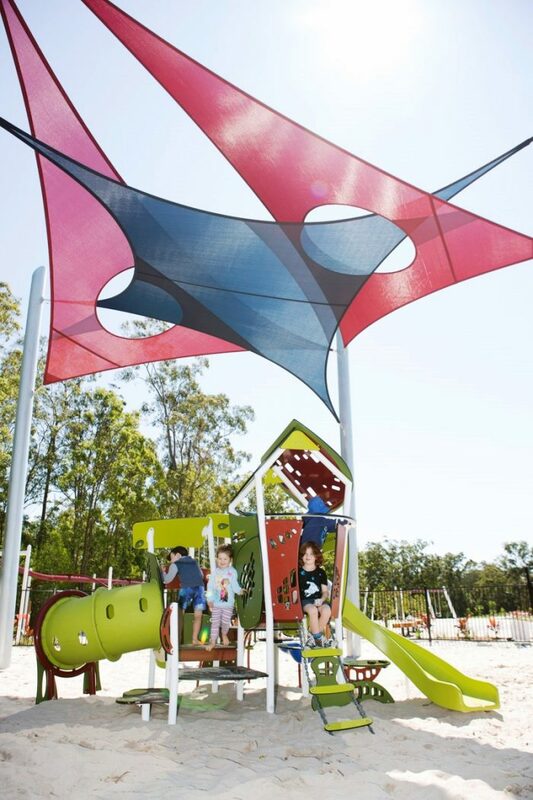 This unit will keep children busy for hours under the impressive shade structure in between general sand play and swinging on the single post, 2 seat swing. 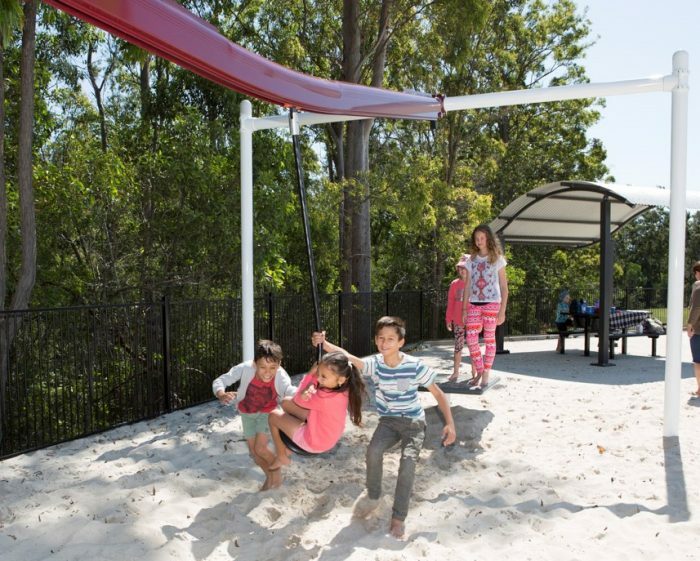 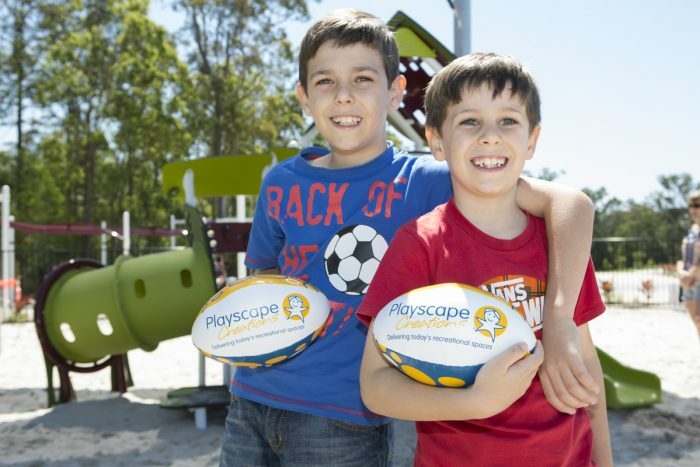 A great space for new residents to meet and socialise, this playground is sure to give many years of fun to the Narangba Heights community! 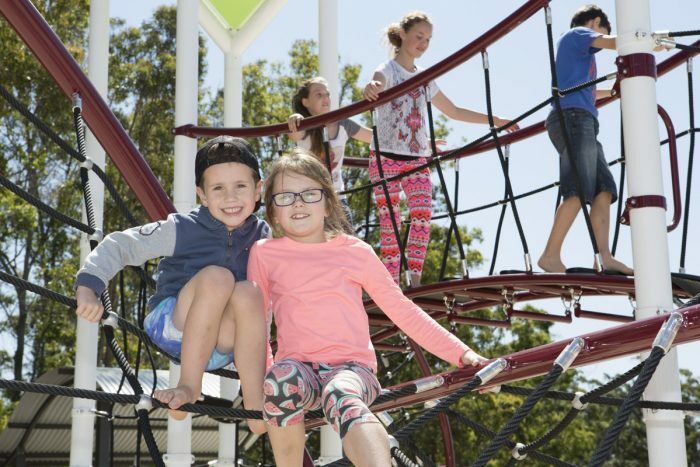 A big THANK YOU to all the kids who came to play and be part of our photos for this great new recreational space – we hope you get many years of enjoyment from it!